That’s Patti Smith apologizing to Simon Hattenstone who is interviewing her for The Guardian. A slender link to smell, but justification enough to set the WABAC machine to the late Seventies. 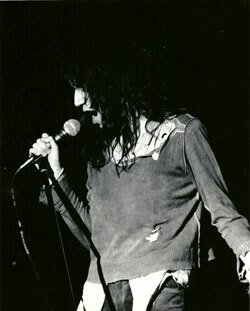 I saw Patti Smith shortly after she exploded onto the scene with Horses—it was at the Longbranch in Berkeley on February 17, 1976. Never seen anything like it—she would dance light as a feather then go into a trance state and chant, ramble and sing. So much intensity from such a skinny little creature. Saw her again at the New Elgin Theater in Manhattan on July 30, 1977. I still have Lenny Kaye’s guitar pick to prove it. A lifetime ago, but still vivid. Given the incantatory nature of her lyrics, the beautiful prose of Just Kids, her memoir of her life with Robert Mapplethorpe, was a surprise and a delight. I don’t much care for Mapplethorpe or his work but Smith’s account of their time together—and the artistic influence he had on her—is evocative and moving. Sherman, set the WABAC machine to the encore.